This year the Grammys were a little…for lack of a better word, bland. Don’t get me wrong, there were some stellar performances and some notable fashion but there were some major players missing (cough, cough…Beyonce) and the fashion was all safe, not many risks taken. Regardless, let’s get into some looks that we liked and ones that we did not! Also, click HERE for our segment from this morning on Breakfast Television Calgary where we breakdown our top 5. Gaga looked simply beautiful in this look and her hair/makeup was perfection and really showed her natural beauty. Many people were squawking about the frills on her sleeves but that is what made it interesting! Loved this look. This dress is a ‘90 throwback and I love it! I would 100% wear this. Brenna and I did not agree on this one but I love it because it has drama and the colour paired with her hair is perfection. Does it look like she forgot her pants? Yes. But who cares! Plus she is Cardi B’s lil sister so she is cool by association lol! Love it. Dress: As much as I tried to find the designer I could not. Unknown. 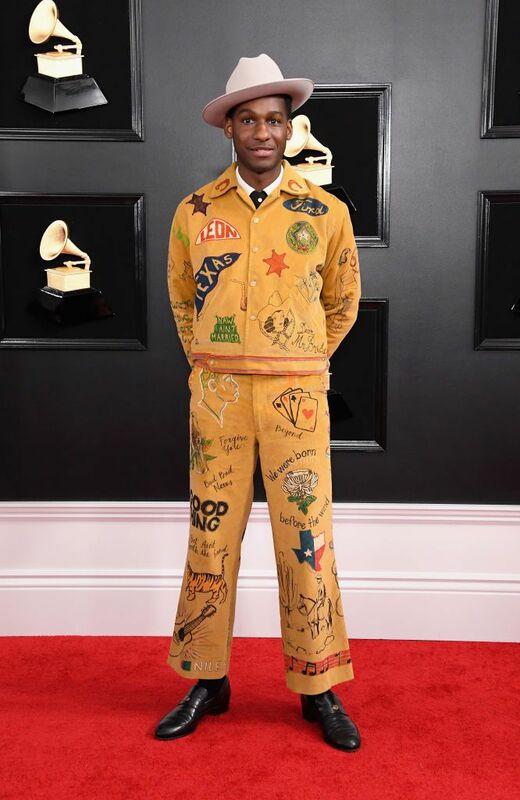 To be clear, we do not think this is best dressed but it is totally worth a conversation. Cardi doesn’t play it safe which is awesome. However, she looks like a Disney character from the Little Mermaid. It’s true, you see it too right?!!! Love the colour pairing and the silhouette, so pretty! NO! Too much. The sleeves that turn into gloves. Satin shoes. Stringy hair. Just a hard no. Designer: Balmain - for the record, I love the house of Balmain, just not this look. Not feeling this look on Katy. Designer: not sure, too lazy to look. I love love LOVE his music! With this outfit thought, I can only think of the Boy Scouts of America. This is just f-cked up. She also carried a bag that said ‘make america great again’. Not cool. Thanks for joining us in this space and we would love to hear your thoughts so shout out on IG or in the comments below. Fashion speaks to people in different ways and we are all able to express ourselves through clothing which is truly a beautiful thing.